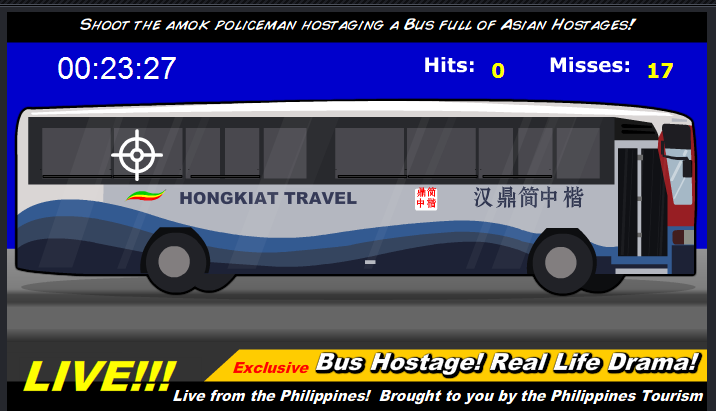 I got a tip from a friend that a flash game about the hostage crisis is created within 24 hours of the incident. 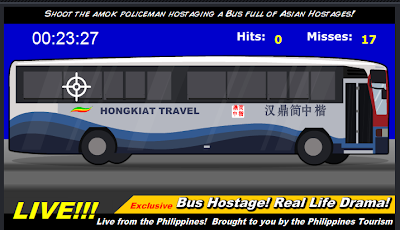 The goal of the game is to kill the hostage taker (rolando) before the time runs out. For me this is a senseless game but what can we do, humans become insensitive sometimes.